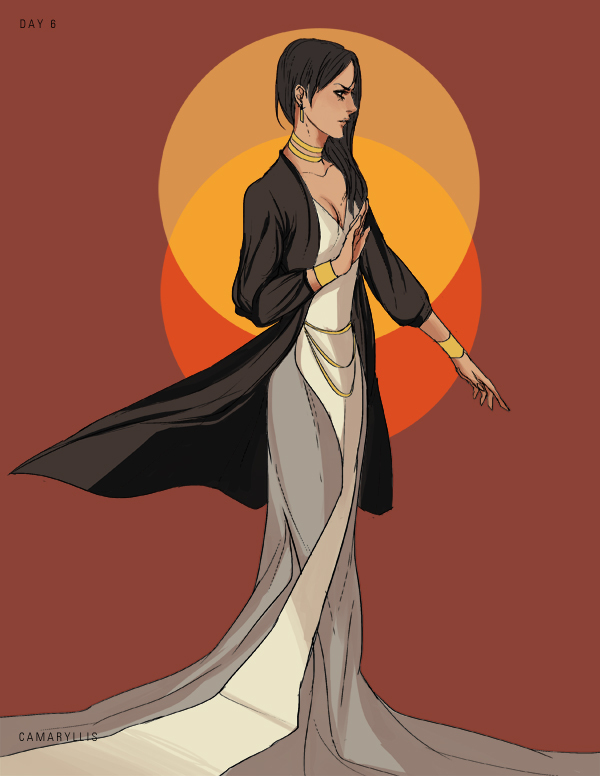 The Arcaness, older sister to The Arcane. Her primary part in the empire is to be engaged to The Emperor, but he takes more interest in her brother. More info below. Planning sketches/wip are posted at my tumblr. Love your stuff! In this one, the color, robe and overlapping circle motif in the background in particular. Very elegant and sophisticated.